As well as serving up the finest street food Manchester has to offer, not to mention lots of lovely sweet stuff and a cracking bar, we’ve also got entertainment for all ages covered at the night market this Friday. From 4-6pm, lovely Levy locals PepperPop Parties will be keeping those ‘lil rascals entertained with a FREE children’s party. There’ll be games, activities, prizes and lots more, all overseen by your favourite Frozen snow queen (prepare for hysteria, parents!) This event is completely free and kids can join in any time between 4pm and 6pm – hurray! There will also be face painting – this will be chargeable on the day. 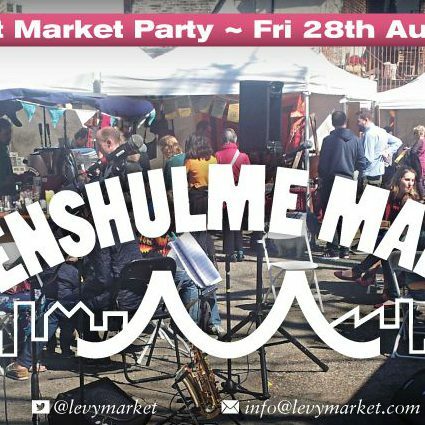 With the Levy Beer Fête at the Klondyke Club carrying on until 11pm after the night market finishes on Friday, and throughout the weekend – its shaping up to be a non-stop party of a bank holiday weekend in Levenshulme!